Boasting over 3,000 exhibitors from more than 60 countries, this year’s plastics show K2019, scheduled to take place in Düsseldorf, Germany, from 16-23 October 2019, is fully booked, says the organiser Messe Düsseldorf GmbH. K will occupy the entire Düsseldorf exhibition grounds with some 175,000 sq m of net exhibition space, and more than 200,000 trade visitors from all over the world are expected come to the event. The last K in 2016 saw 3,293 exhibitors from 61 countries on more than 173,000 sq m of net exhibition space and 232,053 trade visitors, 71% of whom came from abroad. This year, the show will focus on the current challenges like “plastics for sustainable development” and the “circular economy”. These not only will be among the hot topics touched on at the exhibitors’ stands at the upcoming K but will also be covered comprehensively in the supporting programme, according to Messe Düsseldorf. 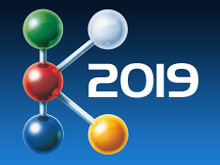 The Science Campus of K2019 stands for the dialogue between science and industry, with sustainability and recycling management also being examined intensively. Last but not least, the joint appearance of VDMA (German Engineering Federation) and its member companies will also be focused this time on the topic of the circular economy. Visitors looking at preparing for their visit to K2019 in October can find the exhibitor database at www.k-online.com/2410. Visitors can also purchase their ticket online, print it out on their own printer or download it as a code and then travel to the trade fair free of charge by bus and train. In addition, the eTicket is much less expensive than one purchased on site. Those who are still looking for accommodation for K2019 should make the most of the services offered by Düsseldorf Marketing & Tourismus (DMT), www.duesseldorf-tourismus.de/messe/k.